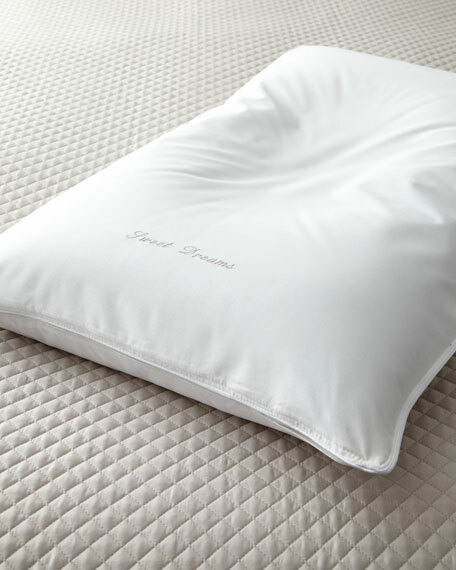 The Pillow Bar Queen Slumberlicious Back Sleeper Pillow, 20" x 30"
300-thread-count cotton sateen with Hungarian down fill. Designed with contoured neck support specifically for the back sleeper. 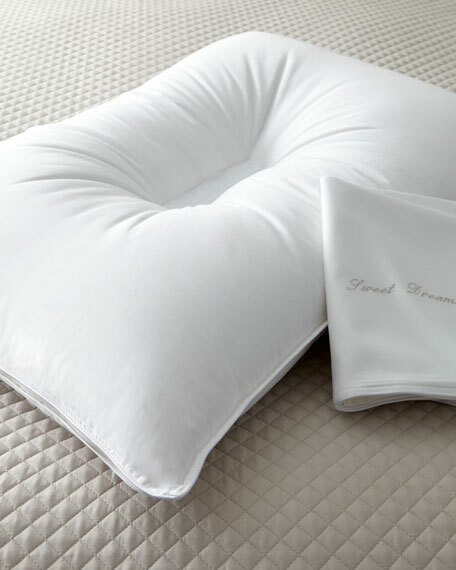 A slight center depression and two channels of support for different neck lengths make this pillow just right for supporting your head and neck. Includes machine-washable, 300 thread-count pillow protector. The Pillow Bar King Slumberlicious Back Sleeper Pillow, 20" x 36"